Learn how North Carolina is recovering from its costliest hurricane disaster. 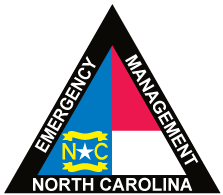 The State Emergency Operations Center is operating at a Level 5 - normal daily operations, not activated. Make sure your family is prepared with a plan and the necessary supplies when disaster strikes. Was your home damaged by Hurricane Matthew? Hurricane Matthew survivors can apply today for additional help through the ReBuildNC Housing Recovery program.